This page is dedicated to Dr Howard H Wayne, MD (1923-2006). Premise: All cardiologists seem to want to do surgery and do not support a noninvasive approach to cardiology. Dr Wayne favored drugs over surgery. The Noninvasive Heart Center specialized in seeing patients who have been told they must have angiograms, angioplasty, or bypass surgery because their coronary arteries are blocked due to coronary artery disease. Such patients usually have been told surgery must be carried out immediately, there are no other options for treatment, and that medical treatment with drugs will not work. None of this is true. Medical treatment not only can increase the blood flow to the heart muscle, and reduce the workload of the heart, but actually will prevent future heart attacks, and increase survival compared to angioplasty or bypass surgery. Surgery is rarely necessary, and even when necessary, never needs to be carried out immediately. Now Available! "Heart Bypass: A Second Opinion" and "How to Protect Your Heart From Your Doctor." Patients seeking alternatives to bypass surgery and angioplasty turned Dr. Howard H. Wayne's Bankers Hill office into a mini-United Nations. Intrigued by his laudable credentials and books with such provocative titles as “How to Protect Your Heart From Your Doctor,” they came from as far away as England, Ireland, Guam, the Philippines and Venezuela. In each case, they would be prescribed a customized therapy – a variety of medications known as a vasculo-protective cocktail – that reflected Dr. Wayne's noninvasive philosophy. At 82, Dr. Wayne had finished his fourth book, “Do You Really Need Bypass Surgery? A Second Opinion,” and had completed an outline for a fifth. Working long hours at his Noninvasive Heart Center was as much a passion as a profession. Dr. Wayne was three days short of his 83rd birthday when he died of cardiac arrest Oct. 23 while vacationing in South Lake Tahoe. Although Dr. Wayne's somewhat controversial approach found disfavor among many traditional cardiologists, he never veered far from the mainstream. He was a fellow of four professional organizations, including the American College of Cardiology, and frequently spoke at national medical conventions. In “How to Protect Your Heart from Your Doctor,” published in 1994, he contended that 75 percent of bypass surgeries and angioplasties are due to over-diagnoses and over-treatment. 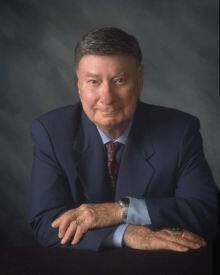 Dr. Wayne, who practiced medicine for 50 years, opened his Noninvasive Heart Center in San Diego in 1985. He previously had been affiliated with Sharp Memorial Hospital, where he was founding director of the echocardiography department, and with the San Diego Health Association, a predecessor of Kaiser Permanente. “Back in the early 1970s, he sent a fair amount of patients to surgery, although not nearly the number of the average cardiologist,” his wife said. In his books, Dr. Wayne described a variety of noninvasive tests to diagnose coronary artery disease. He began to recognize the need for such tests early in his career while on the faculty of the U.S. Air Force School of Aerospace Medicine, forerunner of NASA. With a grant from the American Heart Association, Dr. Wayne studied new methods of monitoring heart function and detecting heart disease. This led to publication of a medical textbook, “Noninvasive Technics in Cardiology,” in 1973. During the 1970s and 1980s, he lectured and presented scientific exhibits throughout the United States, Asia and Europe to introduce physicians to new examination methods. In 1975, the American Medical Association presented Dr. Wayne the Hull Award for a scientific exhibit detailing noninvasive techniques in cardiology. Dr. Wayne, a resident of La Mesa, was born Oct. 26, 1923, in New York City. He received his medical degree in 1953 from Bowman Gray School of Medicine at Wake Forest University. Then he served two years in the Air Force as a physiology instructor. After a residency in internal medicine at the Cleveland Clinic in Ohio, Dr. Wayne rose to chief of medicine at Keesler Air Force Base Hospital in Biloxi, Miss. He left in 1960 to practice in San Diego. Although consumed by his career, he was a history and science fiction buff and made fitness a priority. At the time of his death, Dr. Wayne was treating about 350 patients, some of whom had begun seeing him in the 1960s. “He was talking to patients and advising them on the day of his death,” his wife said. In addition to his wife, survivors include daughters, Marianne Werner of Chico and Vanja James of Walnut Creek; sons, Howard Wayne Jr. of San Diego, Edward Wayne of South Lake Tahoe, Michael Wayne of La Mesa, and Bradley Wayne of La Mesa; and brother, Roy Weiner of Pembroke Pines, Fla.
Services are pending. Donations are suggested to the San Diego Zoological Society.